Open a window, they will see the sky. Let rural teachers and principals learn the latest education methods, they will help improve the quality of education. Education is one of the cornerstones for improving a nation’s quality and building human resources. Teachers are entrusted with important responsibilities and sacred mission. Construction of high-quality teaching teams has important strategic significance on consolidating the results of compulsory education, promoting the balanced development of education, and implementing and strengthening quality education. Especially in poor areas, teachers are having an important impact on each child’s life! 2003Chinese National Board of Education began to require mandatory English classes for third graders and above. 2004Shin Shin held a nine-month English “seed teachers” training program in Shanghai. 2005Shin Shin officially started to expand the English Teacher Training program. 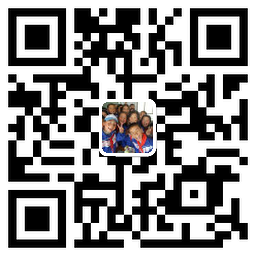 The program lasted a period of eight weeks in the summer from May to July each year in Hunan Normal University. From 2005 to 2007, a total of 170 English teachers from Shin Shin primary schools in 15 different provinces from China were trained, so that more than 40,000 students have benefited from them. 2008Training program was held every summer from July to August in Changsha Vocational College of Technology. 2010Shin Shin added computer teacher training programs, combined with the original training, referred to as English and Computer Teacher Training (ECTT). ECTT’s first session started from July to August, a total of six weeks in Hunan Science and Vocational and Technical Institute in Changsha, Hunan. Its goal was to improve computer skills of primary school teachers in remote rural areas, as well as enhancing English teaching methods. 2011Shin Shin held ECTT both in Hunan and Gansu, with the help of well-known local institutes to set up two computer and English teacher training centers, helping nearly 800 teachers be trained within 7 years. 2014-2015Shin Shin partnered with Beijing Normal University to organize summer training for principals, to further narrow the education gap between rural and urban areas, promote China’s rural education reform and innovation, improve rural school leadership and competitiveness, and build a communication platform for principals. 2016Shin Shin partnered with Northeast Normal University, Overseas Chinese Affairs Office of Jiangxi Province, and Yichun City Board of Education, to establish a national training project for rural schools and hold a “Rural Primary School Principals Seminar”. 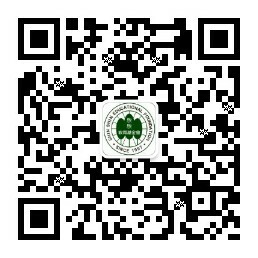 Shin Shin will continue to cooperate with well-known Chinese educational institutions and enrich the training programs.